Gathers finished the regular season with three catches on seven targets for 45 yards. 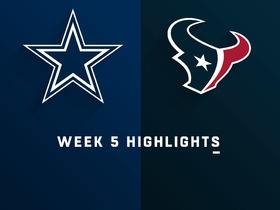 Analysis: While he suited up for 15 games -- the first regular-season action of his NFL career -- Gathers never played more than 18 snaps on offense, and six of his seven targets came before the Cowboys' Week 8 bye. He's still got the size and athleticism to potentially make an impact if everything comes together for him, but the former college basketball player remains a long shot to ever provide fantasy value. 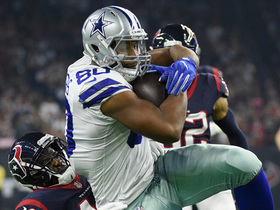 Dallas Cowboys tight end Rico Gathers pulls in his first catch of his career for 32 yards on a pass from quarterback Dak Prescott. The "Inside Training Camp Primetime" crew discuss which players they're most excited to see in action during Thursday night's Cowboys vs. 49ers preseason game. 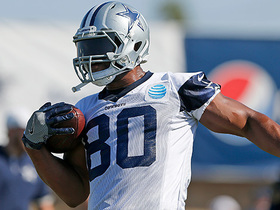 NFL Network's Jane Slater talks about the development of Cowboys tight end Rico Gathers, who has been impressive in training camp. Dallas Cowboys players get into a scuffle and tight end Rico Gathers is removed from the field by head coach Jason Garrett. 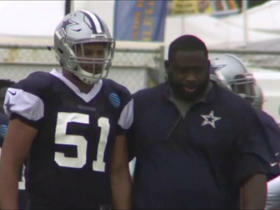 Gathers was later allowed back onto the field in a scene not in this video. 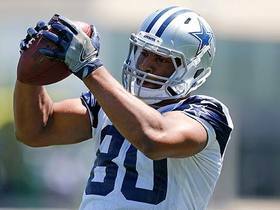 NFL Media's Willie McGinest discusses Dallas Cowboys tight end Rico Gathers' tussle at training camp. 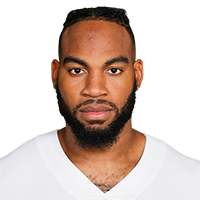 Dallas Cowboys players get into a scuffle and tight end Rico Gathers is removed from practice by head coach Jason Garrett.